This year at the 33rd annual Vancouver International Film Festival, we will be bringing a series of fabulously stylish films to Vancouver. This series of films showcases fashion, style, and art that will for sure please the en vogue community of Vancouver. September 27th – Series Launch: A memorable evening put on by Ecofashion Week. This special screening of Looking for Light: Jane Bown (trailer) will include a panel on fashion and what you need to do to reach success as a stylist, model, photographer etc. in the industry. October 3rd – Yves Saint Laurent red carpet: Get dressed up and strut your stuff down the red carpet. Enjoy a pre-screening panel dedicated to the life and impact of this famous brand, and its creator. October 4th – Jason Matlo and Ecofashion Week pre-screening panel: A special panel dedicated to tackling the issue of sustainability in fashion, and how handmade products can reduce industry impact. October 5th – Red Carpet & Holt Renfrew VIP Party: Dress up and lead with your self down the red carpet with your best foot forward. The first 100 pass holders are also invited to this exclusive Holt Renfrew VIP party. October 10th – Closing Party/Jason Matlo Fashion Show: To close off the series, we are inviting the first 75 pass holders to join us at Jason Matlo’s 10th anniversary fashion show. 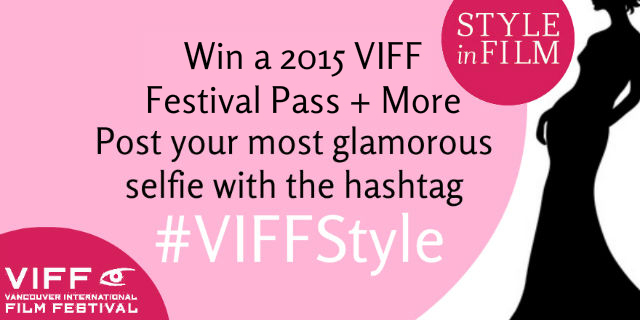 Dress up in your most glamorous attire and share your most fabulous selfie at the events for a chance to win a 2015 VIFF Festival pass & so much more! Come to a show, take a selfie, tag #VIFFStyle on Twitter and you could be doing VIFF 2015 in style! Advanced Style (trailer): A documentary that examines the lives of seven unique New Yorkers whose eclectic personal style and vital spirit have guided their approach to aging. Hand Made with Love in France (trailer): This film charts the work and gradual demise of French artisans’ workshops that are essential suppliers for haute couture fashion houses such as Dior and Chanel. God Help The Girl (trailer): Eve’s a troubled young girl who also has a talent for singing and song-writing. Music leads her to Glasgow where she meets James and Cassie, two kindred spirits each at crossroads of their own. What follows is an uplifting and stylish pop musical filled with renaissance, friendship and romance over a long, dream-like summer. The Two Faces of January (trailer): The film stars Viggo Mortensen and Kirsten Dunst as tourists who get to know a tour guide in Athens played by Oscar Isaac. All three are put in danger after an incident at the hotel, and the suspense builds from there. In the Name of My Daughter (trailer): Inspired by the true case of Agnes Le Roux, a young, glamorous heiress, the film tells the story of her disappearance in the late 1970’s after becoming embroiled in a Mafia-backed plot to force her mother Renée to sell the family casino on the French Riviera. Looking for Light: Jane Bown (trailer): This is a moving portrait of Jane Bown, a life-long photographer for the Observer newspaper who has photographed famous subjects like John Lennon and The Queen. The film examines her quiet determination working in an almost exclusively male world and how the sorrow of her early childhood influenced her unique photographic style. 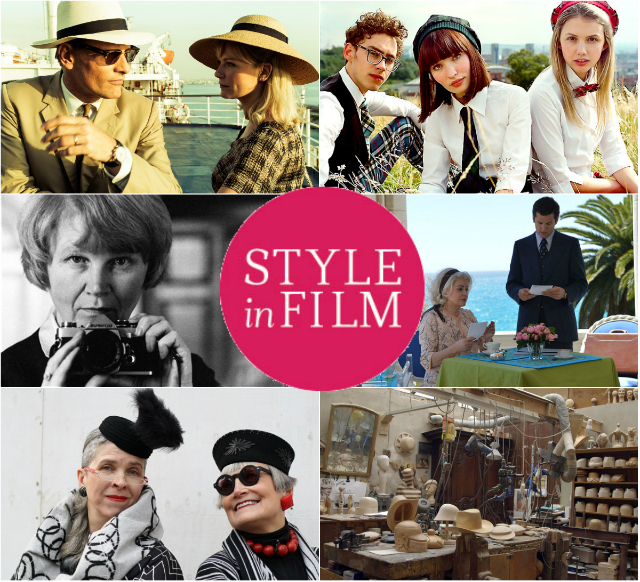 Tags: fashion, god help the girl, judith & charles, music, photography, Style In Film, the two faces of january, viff, viffest. Bookmark the permalink. Where is the 27th Style Pass showing of Looking for Light, showing? Can’t seem to find that anywhere. Thanks.